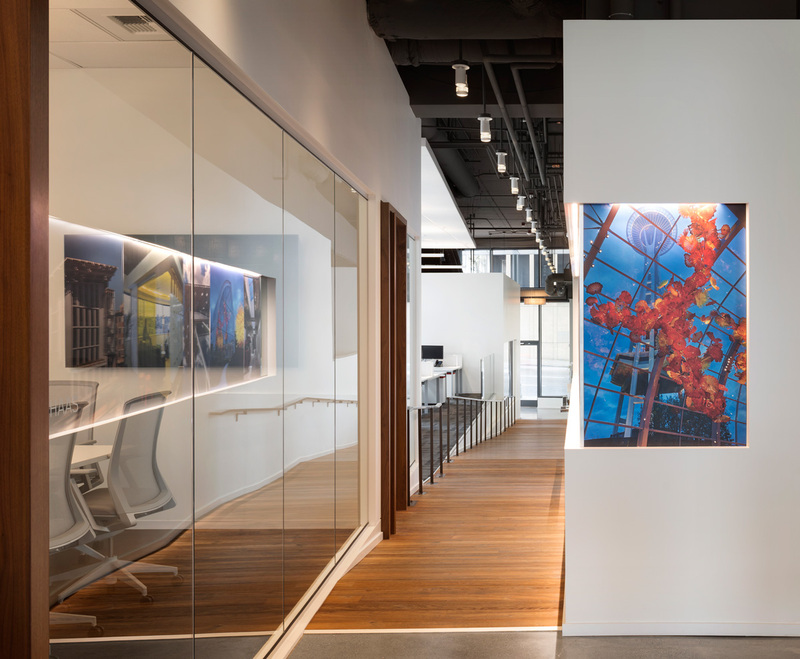 Located in downtown Seattle, the 6,200 sf office was built in a former restaurant space. Work included complete demolition and removal of an existing freight elevator, commercial kitchen and seating area. By taking advantage of the perimeter full height glazing, the space is washed in natural light. Providing volume to the space, the open-to-structure ceiling reveals the structure and MEP systems while ACT Clouds deliver sound attenuation. 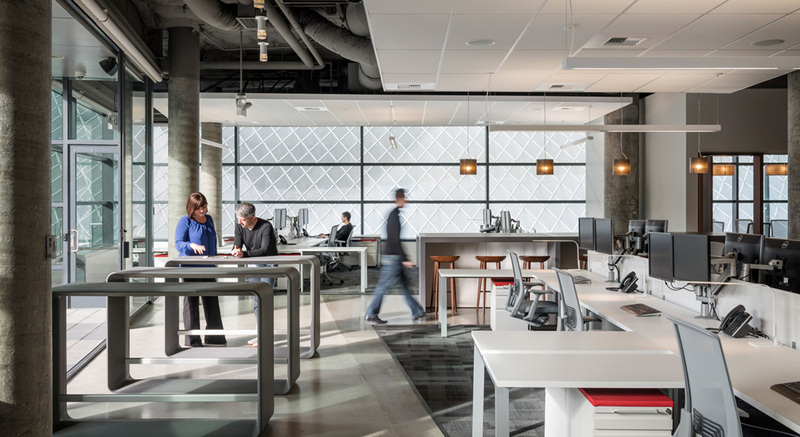 The open office format allows for large collaboration areas and smaller meeting areas. Conference rooms include large glass panes allowing natural light to pass into interior spaces. Three hard wall offices, a kitchen, work room and new restrooms complete the space. 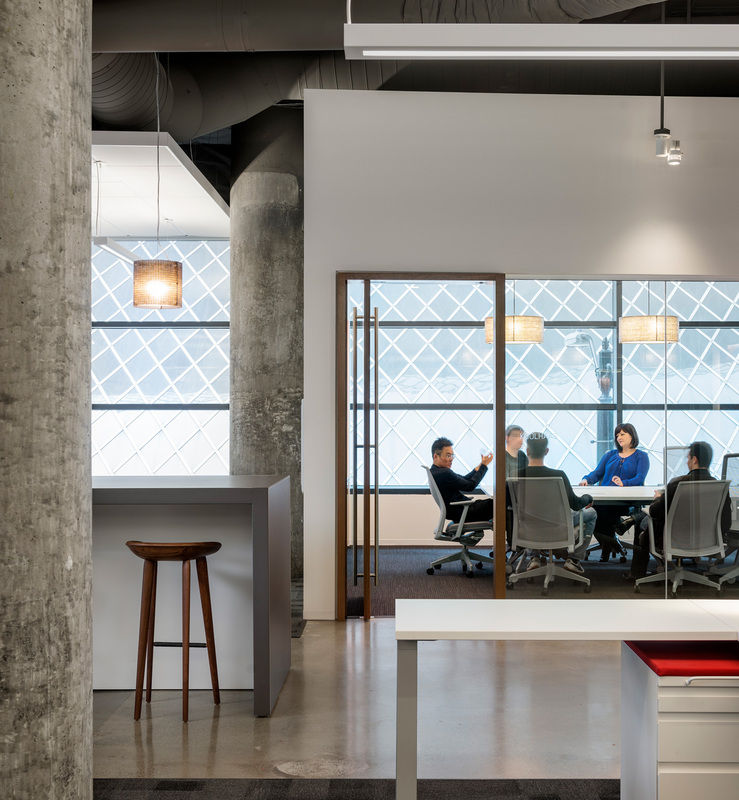 Finishes included a mix of carpet and polished concrete and raw-concrete columns and custom casework in the kitchen, workroom and conference rooms. 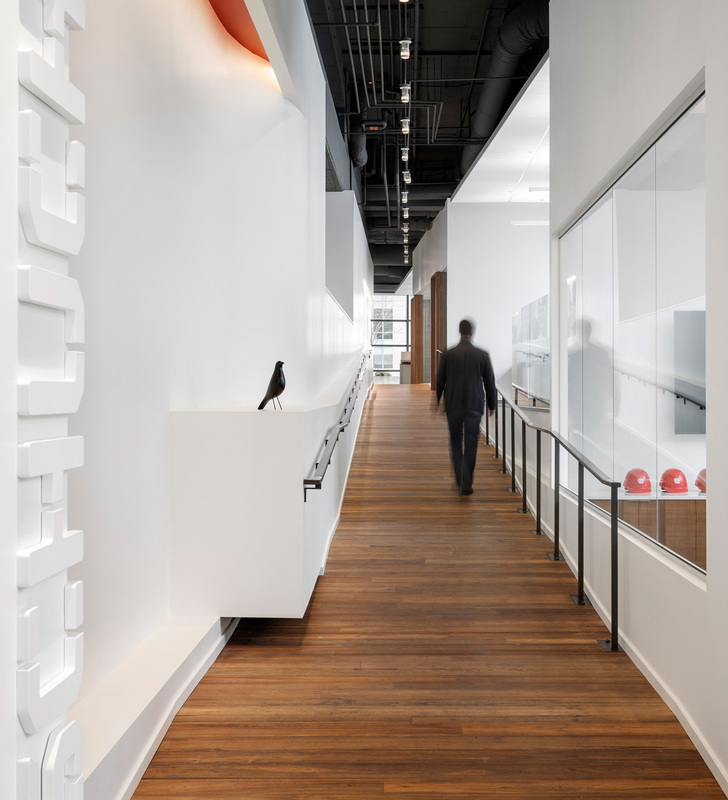 Schuchart re-used the existing HVAC system and refitted salvaged lighting with energy efficient components. A reclaimed-wood entry ramp greets visitors upon arrival. A fully integrated lighting and shade control system with shadow sensors monitors exterior light levels to optimize interior lighting levels.